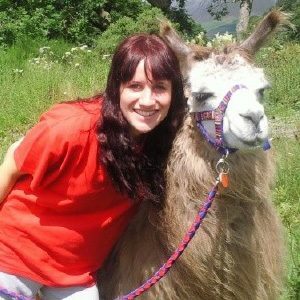 This is a one hour walking with llamas experience that is suitable for the whole family from Tots to Grans. 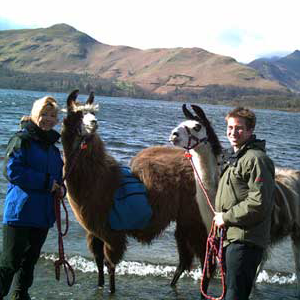 It is easy walking right from your door and gets you up close and personal with our friendly llamas. 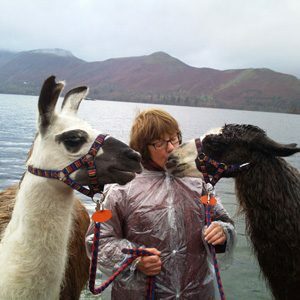 This Magical experience is one you will never forget and is led by our experienced guides who can give you a fascinating insight into the world of llamas. The treks include cake and coffee (or juice and biscuits or ice-cream for the children) and a certificate of participation. Children under 14 must be accompanied by a paying adult. Gift vouchers are available for all treks so they can be used to book a date of the recipients choice in the future. 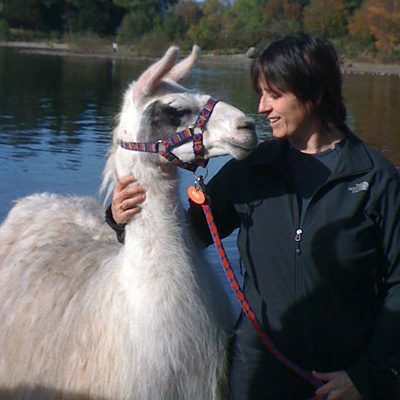 For those with a little longer time to spend with the llamas, you will enjoy our countryside experience where you will follow a nearby trail down by the river and visit a lovely old church in a fabulous setting in the middle of nowhere. This is an off road trail but still easy walking and suitable for off road buggies but unsuitable for normal prams or wheelchairs. 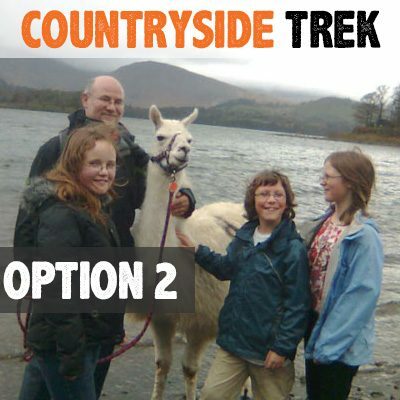 A proper “countryside walk,” it takes in the superb views of the Lake District fells and the North Pennines and has some easy gradients and is good under foot. Lasts around and hour and a half. The trek includes refreshments and certificates as for the mini trek. Suitable for children 6 years and upwards. Minimum of four people or minimum trek price £140 for two people. 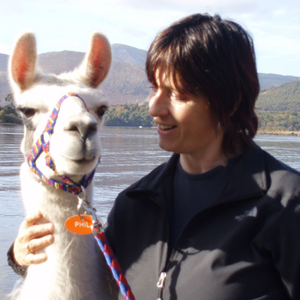 Our half day experiences are delivered on a number of nearby trails and allow you to really get to know your llama as you share the enjoyment of the beautiful Eden Valley. The Half Day trek is not recommended for very young children as they will have difficulty keeping up over a prolonged period, however our 'Mini Trek is suitable for children 3 years and upwards. 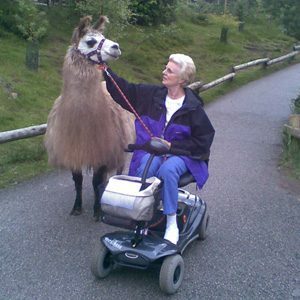 You will need your own transport to the trail heads which are generally within 10 minutes of our base at llama karma kafe where we start all the treks from. These are all completely off road but are chosen to be suitable for all levels of fitness so are not at all strenuous. We stop off along the way for a lovely glass of chilled Llama Karma wine and allow the llamas to graze for a while whilst we take in the views…a perfect afternoon! 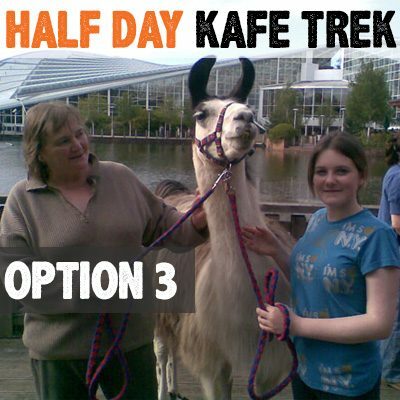 We return on our round trip route to Llama Karma Kafe to enjoy a pre ordered home cooked two course meal including coffee, tea or a soft drink which are all included in the package. Certificates of participation are included. 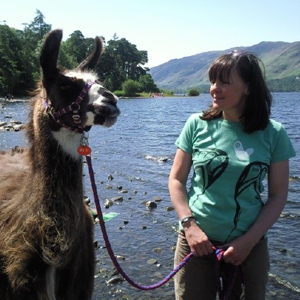 You can adopt your favourite llama after the trek or alternatively adopt it beforehand and we will try to arrange for you to walk with your llama on the day. Great as family outings, hen parties or corporate events. There is a minimum number of 4 people participating to book this trek. Please phone to check date availability before booking. Your experienced zoo keeper is able to give you a very interesting insight into the lives and habitats of all our animals and there are great photo opportunities to be had! The experience lasts approximately half an hour. 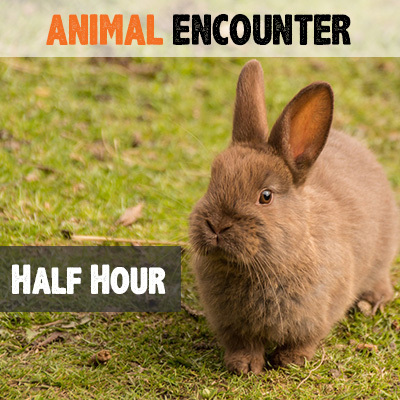 This experience is designed for groups of 4 or less and is a whistle stop tour of all our animals, stopping to meet and greet and where appropriate to get a hands on experience with a number of animals. £7.50 per person Minimum 2 people. Please be aware the activities start at 11am, other times may be available upon request. As the activities and treks can be very busy it is essential to book in advance to ensure there are places available for you on the day please. Gift vouchers are available for all activities so they can be used to book a date of the recipients choice in the future. Your experienced zoo keeper is able to give you a very interesting insight into the lives and habitats of all our animals and there are great photo opportunities to be had! The experience lasts approximately one hour. 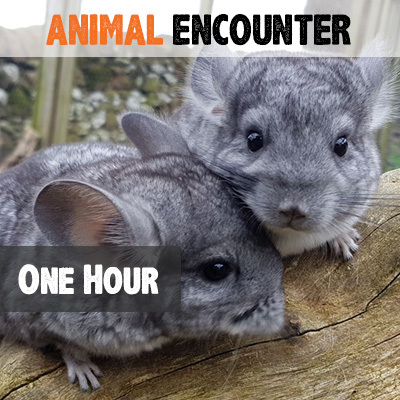 This experience is designed for groups of over 4 people and gives participant the opportunity to get up close and personal with a range of animals, with opportunities for selfies and lots of cuddles. £10 per person – Minimum 3 people. 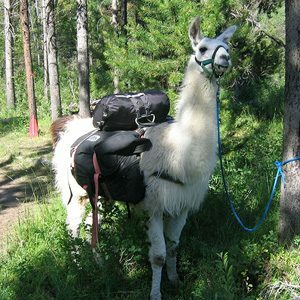 Book A Llama Trekking Adventure Today!